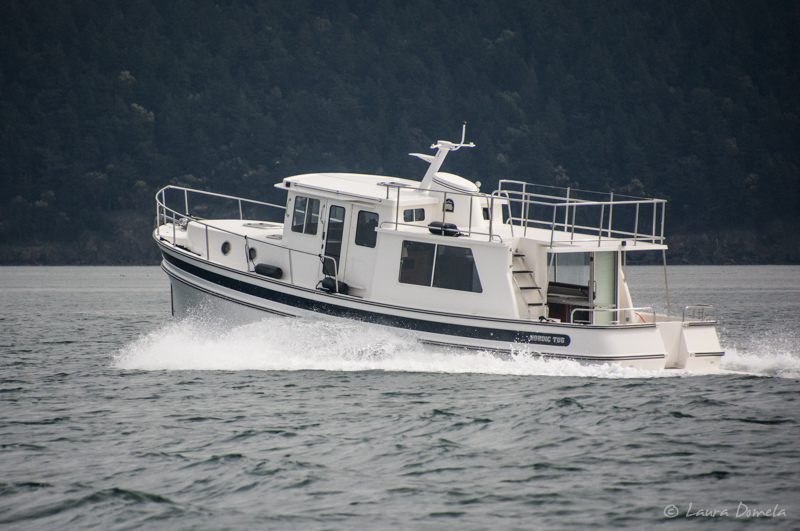 The other day we got to go check out the new Nordic Tug 40. I don't think I blogged about it when we saw it in the factory a few months ago, and that's because I didn't like it. I had such high hopes. I was sure it was going to be our next boat. But when I saw the lines of the slanted windows and the non-rectangular shapes the new design now had (especially as it sat in the factory right next to a new NT34, all cute and rectangular with all its adorable boaty personality), I thought "Noooooo, they ruined it! What are those triangles doing there? Don't get suckered in by all the other boats!" They said they needed to change the lines because they were converting the ladder to the upper deck into "stairs" that people could go up and down more easily. Hm. So anyway, fast forward to now. 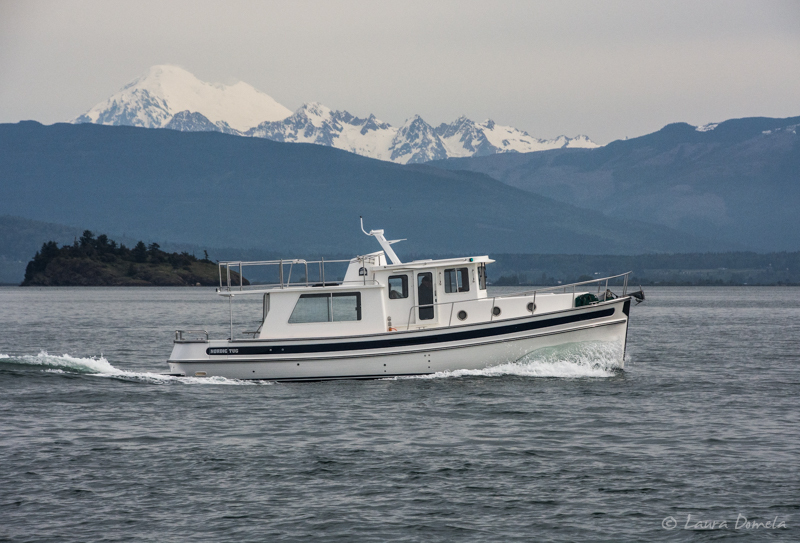 The NT40 went out for some sea trials last week (one with us on it) and I don't hate it nearly as much as I thought I would. In fact, I don't really hate it at all. I'd actually consider it. It's a beautiful boat and I think they did a nice job on it. The stairs caused the loss of a window back there, but I hear they're going to add a window on the next year model (on the slanted part, underneath the ladder/stairs). I don't love the ladder/stairs thing (mostly I don't love the design change due to the ladder/stairs thing) but it's going to be really nice for people who want a little easier up and down to the top deck. Also, as you can see in this photo below, the cockpit doors are now three panels that slide to create a very nice opening from the salon to the enlarged cockpit space. Next Post Getting Ready for Alaska!